About a year ago, I made a few goals. I'd just turned thirty. I was feeling pretty introspective, retrospective, and whatever other -spectives are out there. Going into my thirties, I had a lot on my mind about who I am and what I want to make of this life. Network and build more relationships in the industry to broaden my support system. Develop my craft and storytelling skills. Interact with readers better; grow readership. I'll come back to the first two points in other posts, but today let's cover one part of the third goal: reader interaction. Like plenty of other authors, I lean toward introvert. I have fun spending time with friends. I love exploring and traveling. I like grabbing a drink at a bar and trying new restaurants. Of course, my default mode in these occasions includes people watching (and studying) rather than being a social butterfly. But after doing that, I need to log some serious downtime by myself at home with my cats and Roku. To make myself step out of my comfort zone, and my house, I decided to do more author signings. They're a great way to have literal face-to-face connections with readers and to meet new people. Since publishing my debut novel, more than three years ago, I've only done one signing. It was just my book and me at the local independent book store. It was nerve-wracking and wonderful, but I held onto the first part and didn't do it again. So I've made a point to say "yes" when I have an opportunity to participate in a signing. 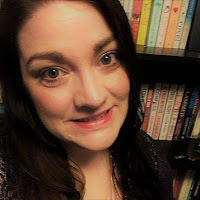 It's not like I've ever had people knocking down more door asking me to do them, but I've paid more attention to listings for upcoming multi-author events. And when I see them, I get in touch. My first one back on the market was last November. 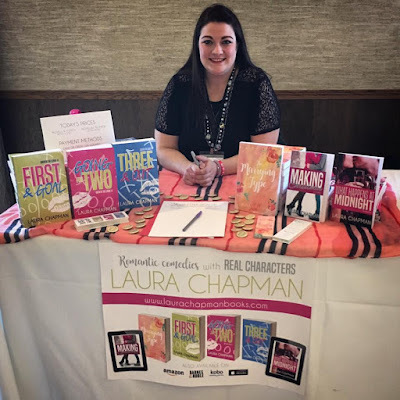 The Ready to Read Romance signing in November was my first after re-releasing my books independently following my publisher's closing. I really didn't know what to expect, but I set with buttons, bookmarks, and a poster I designed and had printed. I signed up for Square so I could accept credit cards and took along copies of all of my books and novellas. The day ended up being a lot of fun. I signed copies of my books, met new readers, and had some lovely conversations. I even found the world's cutest couple, who I want to write about (but don't have permission to do so publicly), but let's just say they gave me serious relationship goals. 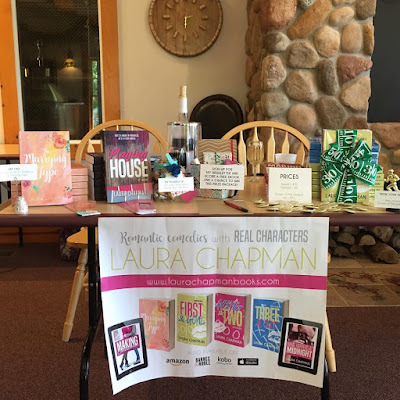 In April, I participated in a smaller multi-author signing, the Winey Romantics. 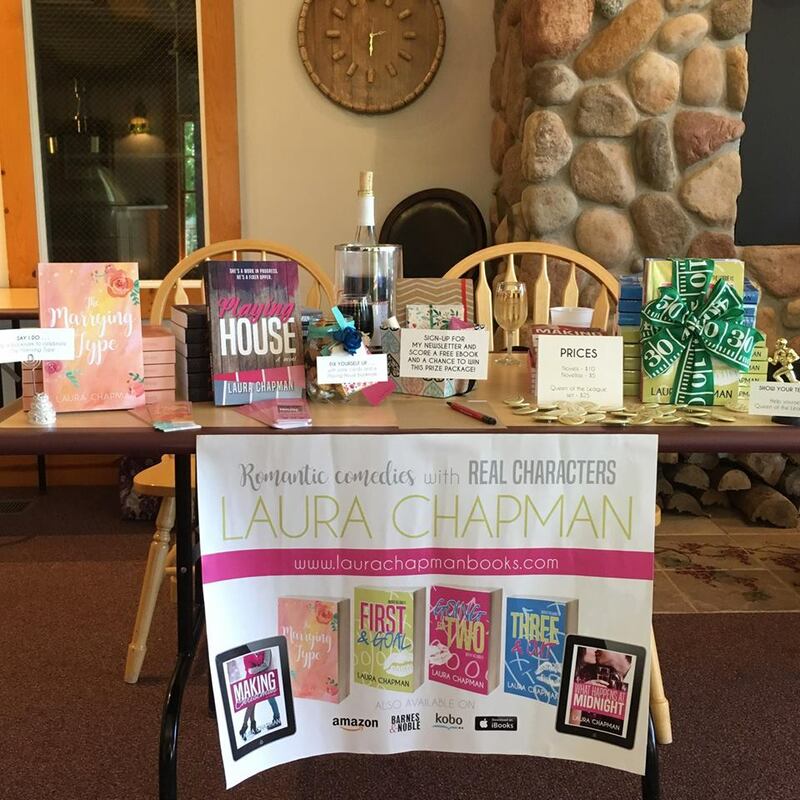 Held at a local vineyard, I had an author friend along as my "assistant" and a delicious bottle of chilled sangria-style wine to sip on all day. I'd also stepped up my display a bit. 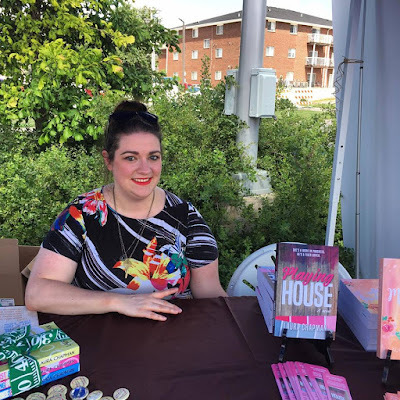 And just Saturday I spent a couple hours at the Nebraska Book Festival signing at the Jane Pope Geske Heritage Room of Nebraska Authors table. It was hot and humid, but I tried out a new lipstick color and talked with other local authors and poets. At each signing, I learn a little something I can carry forward to the next. Probably my biggest takeaway is to have fun with presentation. Back in November, I was lucky to have a scarf in my bag that perked up the table. 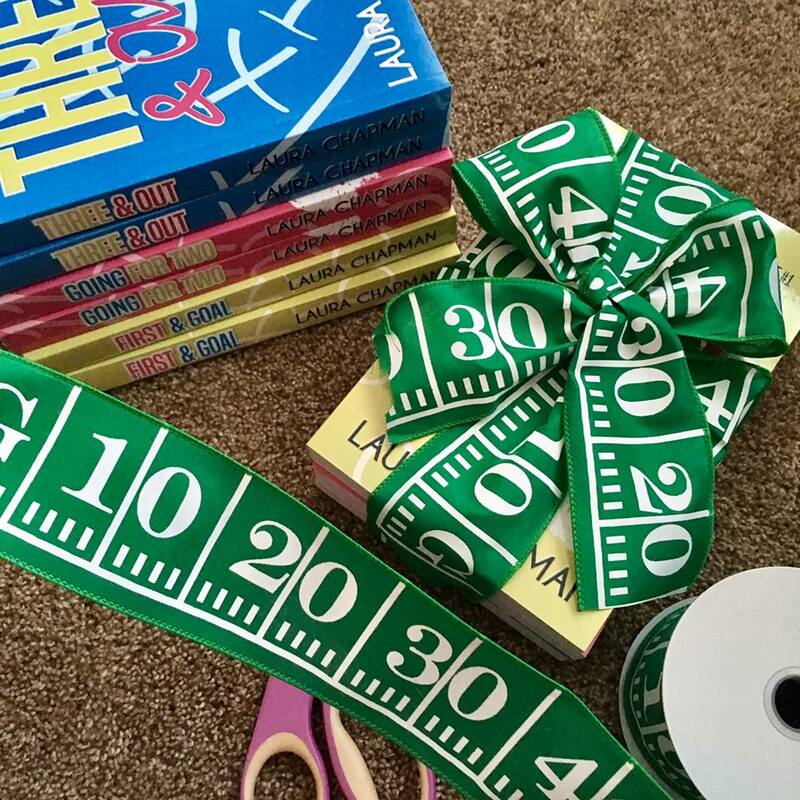 In April, I introduced little figurines for signs and thematic ribbons to wrap books up in for taking books home. 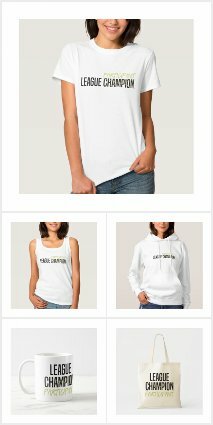 I'm not saying it means more sales, but it does perk up the table. And, hey, how cute do these Queen of the League books look with this football field ribbon? I have another signing coming up in two weeks. This will be my first out of state and the largest. I'll be at the Romance Writers of America's "Readers for Life" Autograph Signing on Saturday, July 29, from 3-5 p.m. at the Walt Disney World® Dolphin Resort, Pacific Hall. It's a thrill to be signing alongside so many other authors and even better to know proceeds will go to good causes. I'm still figuring out how best to do signings, but each time, it feels a bit easier.